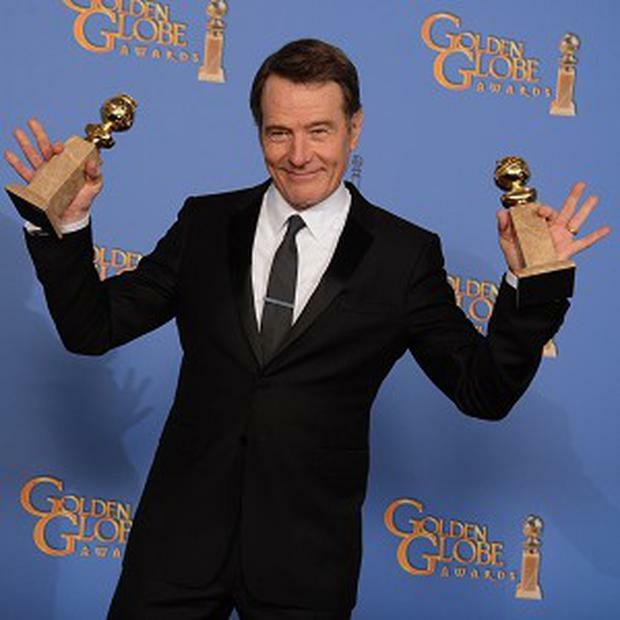 Breaking Bad enjoyed a victory lap at the Golden Globes, picking up several gongs, while detective comedy Brooklyn Nine-Nine enjoyed a more surprising success at the awards. Brooklyn Nine-Nine won the Globe for best television comedy, with star Andy Samberg winning best comic actor. Andy seemed stunned to win in a category that included Jim Parsons, star of television's most popular comedy The Big Bang Theory, and sentimental favourite Michael J Fox, who has his own NBC show. Vince Gilligan, creator of Breaking Bad, said the Globe gave the show's team another chance to thank its fans. "Especially the early adopters, as they say in the electronics business, the folks who were watching since season one, the grim days when we had very little viewership," Vince said of his series, which ended last autumn. "Thank you for helping us get to here." Bryan's award came after losing four times in the category. "This is such a wonderful honour and such a lovely way to say goodbye to the show that has meant so much to me," Bryan said. He joked that the honour by the Hollywood Foreign Press Association means more people around the world will be able to share in the "mirth and merriment" of Breaking Bad. The show was denied a sweep when Aaron Paul lost his bid for a supporting actor award to Jon Voight, of Showtime's Ray Donovan. Actress Robin Wright won for her work in House Of Cards. She paid tribute to her co-star, Kevin Spacey, calling him "the best playdate ever". Film star Michael Douglas donned the flamboyant costumes to play Liberace for Behind The Candelabra and the work brought him his fourth Golden Globe award. Earlier in the evening, the production won the award for best TV movie. Michael called his co-star Matt Damon "the bravest, talented actor I've ever worked with". Addressing Matt, he said "the only reason you're not here is I had more sequins." Show co-host Amy Poehler capped her big night by winning the best actress award for NBC's Parks And Recreation. For a joke, she was sitting on Bono's lap when the camera cut to her as nominees' names were read; she looked as though she didn't want to rush off when the announcement came that she won. But she quickly recovered and turned into what even she recognised as a cliche - the flustered award winner who said she had not prepared to win. "Woo," she said. "I've never won anything like this." Elisabeth Moss gets a lot of publicity for her work on Mad Men, but won a Golden Globe as best actress in a miniseries for playing a detective investigating the disappearance of a pregnant girl in the Sundance Channel miniseries Top Of The Lake. Veteran actress Jacqueline Bisset, a five-time nominee who won her first Golden Globe, savoured the moment in getting a best supporting actress trophy. She played Lady Cremone in the BBC production Dancing On The Edge. Her acceptance was punctuated by silence, she kept talking when the music tried to usher her offstage and even forced the censor to press the "bleep" button after she uttered a profanity. "I'm going to get this together," she said. "I want to thank the people who have given me joy, and there have been many. And the people who have given me (profanity), I say it like my mother - what did she say? She used to say, 'Go to hell, and don't come back'."